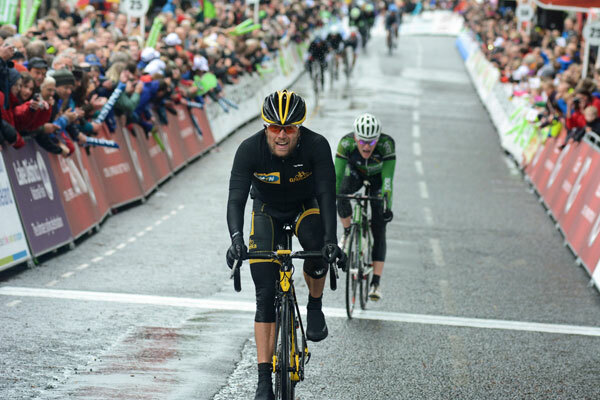 Gerald Ciolek (MTN-Qhubeka) won stage two of the 2013 Tour of Britain on Monday, and took the overall race lead from stage one winner Elia Viviani (Cannondale). 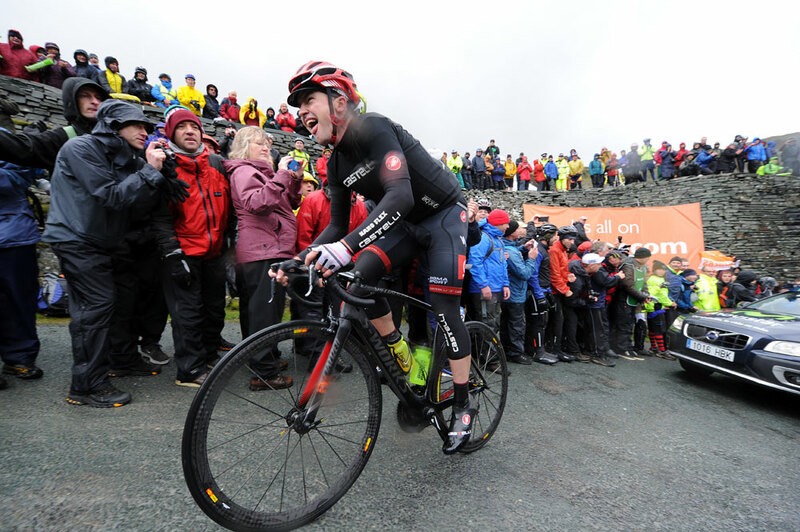 The German Milan-San Remo champion punched his way past his rivals on the tough finishing climb in Kendal after a rain- and wind-swept day in the Lake District. Sam Bennett (AN Post Chain Reaction) placed second, with Thomas Lofkvist (IAM Cycling) in third. Great Britain’s Simon Yates came home in fourth. Yates moves up to second overall, 20 seconds behind Ciolek with Michal Golas (Omega Pharma-QuickStep) in third, also at 20 seconds. Nicola Boem (Bardiani Valvole CSF Inox), Matt Cronshaw (IG Sigma Sport), Jonathan Dibben (Great Britain), Anthony Delaplace (Sojasun), Sean Downey (AN Post Chain Reaction), Angel Madrazo (Movistar) and Mike Northey (Node 4 Giordana Racing) had formed the day’s main escape group, which worked well together for the first half of the 186.6km stage. 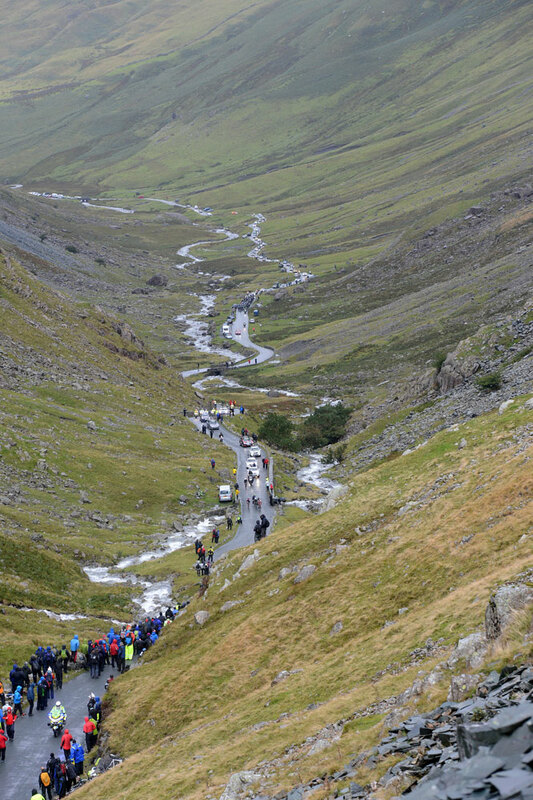 On the steep ascent of Honister Pass with 70km to go, the break splintered as Daniel Martin (Garmin-Sharp) and Nairo Quintana (Movistar) attacked from the peloton. 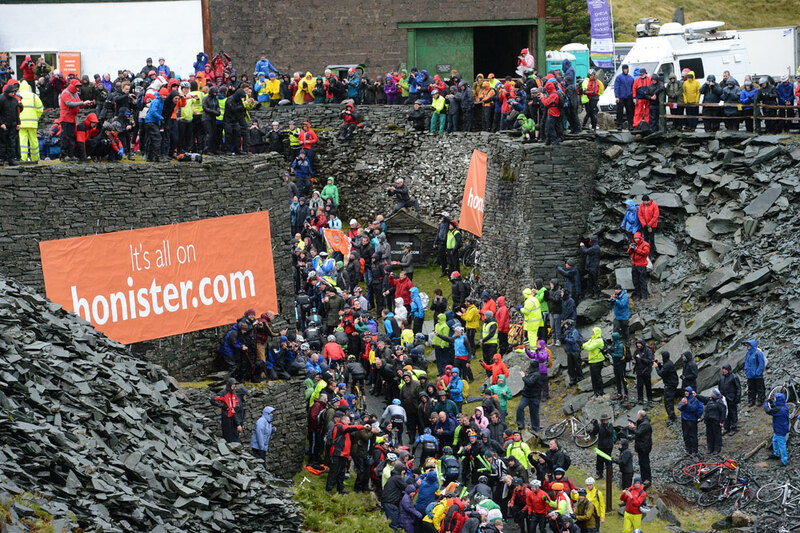 The duo worked hard up the climb – lined by hundred of spectators in a patchwork of brightly coloured raincoats – catching up with the remnants of the escape group after the twisting descent. The pace set by Martin and Quintana was too hot for all but Quintana’s team-mate Madrazo, and the trio pushed on ahead opening up a gap of around a minute until they too were caught. In the final 10km we were treated to the rare sight of Mark Cavendish (Omega Pharma-QuickStep) putting in an attack. Sky quickly chased him down, and then it was the turn of Thomas Lofkvist (IAM Cycling) to take a flyer. By the final climb to the line in Kendal, Lofkvist was spent and was chased down by Bennett and Ciolek. Ciolek ground his way up the hill for a hard-fought win as Bennett faded metres from the line.